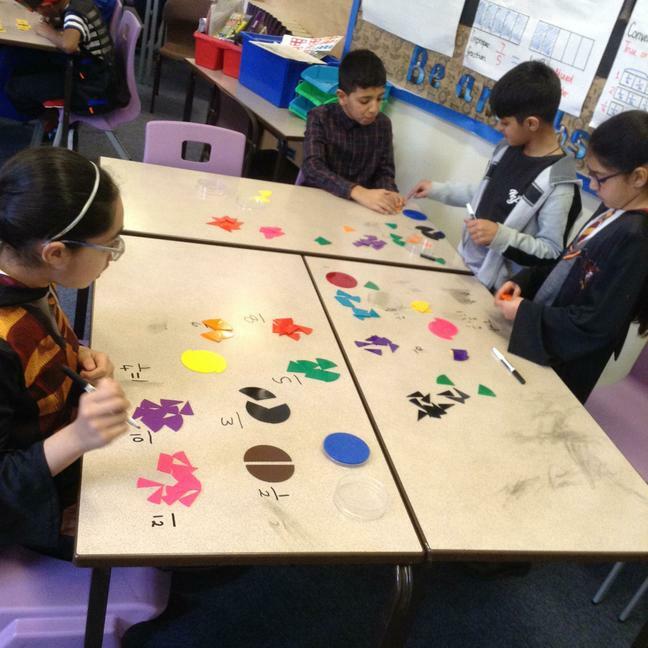 Using concrete maths apparatus to explore equivalent fractions, which lead us to converting fractions, decimals and percentages. 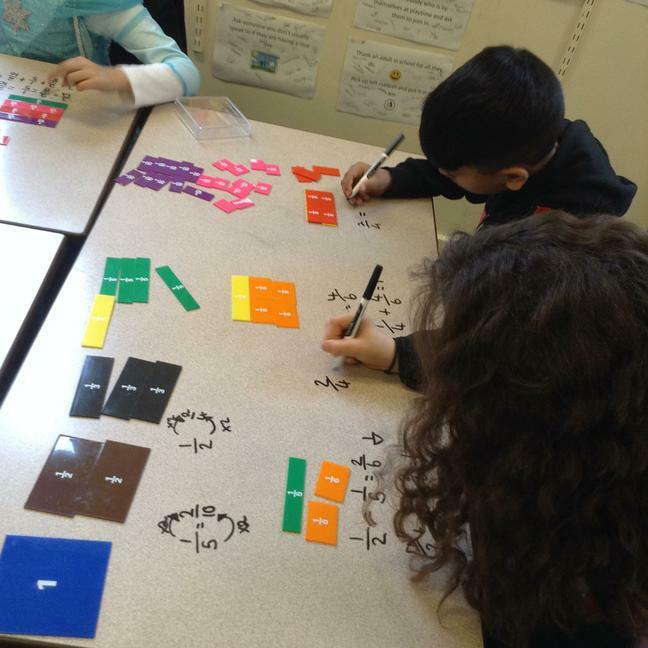 Using pictorial representations to help us convert improper fractions to mixed numbers. 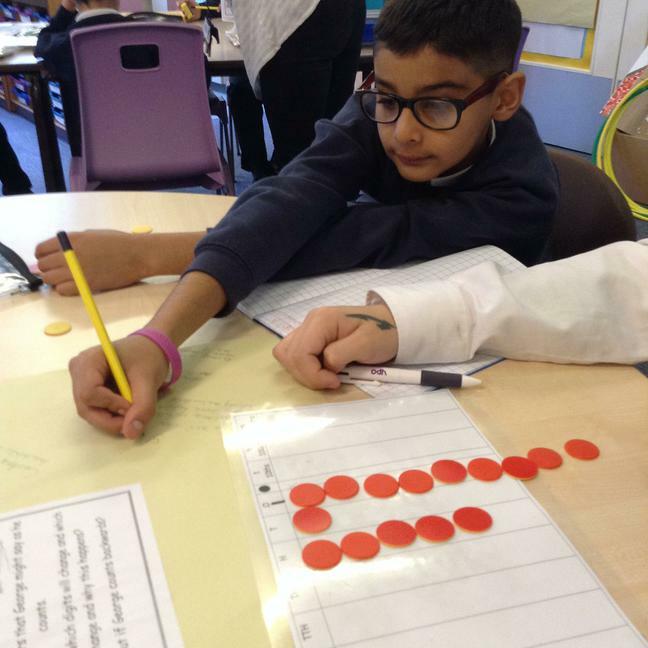 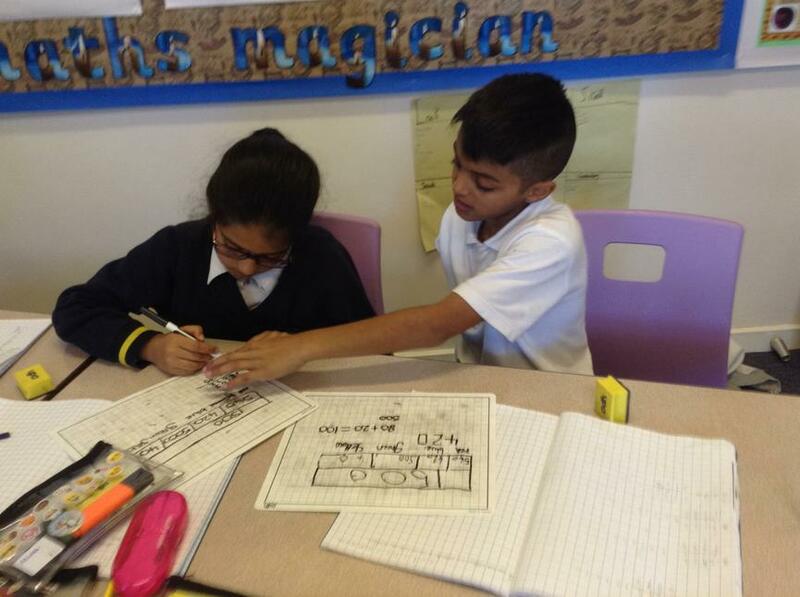 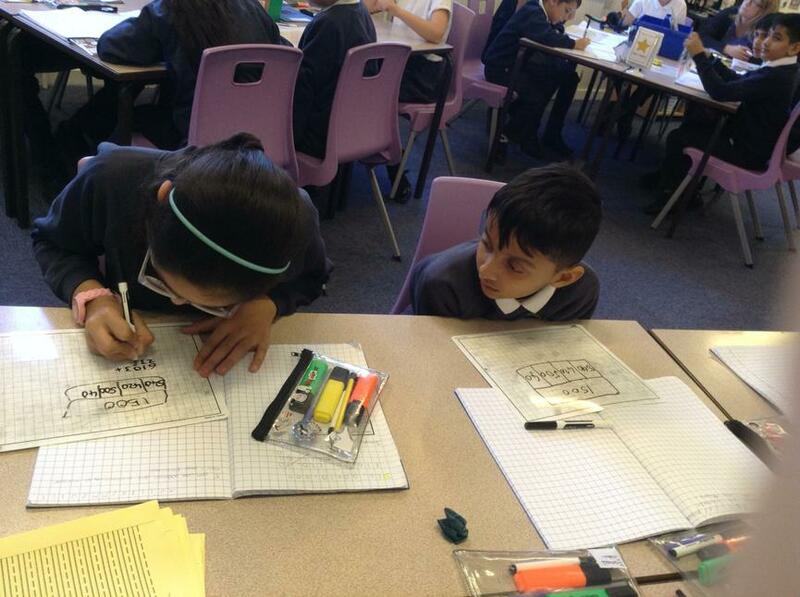 Using the bar model to help us decipher which calculation to use in a worded problem. 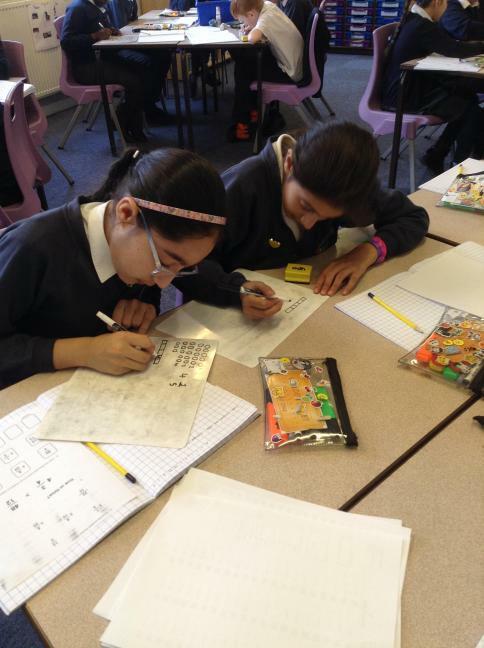 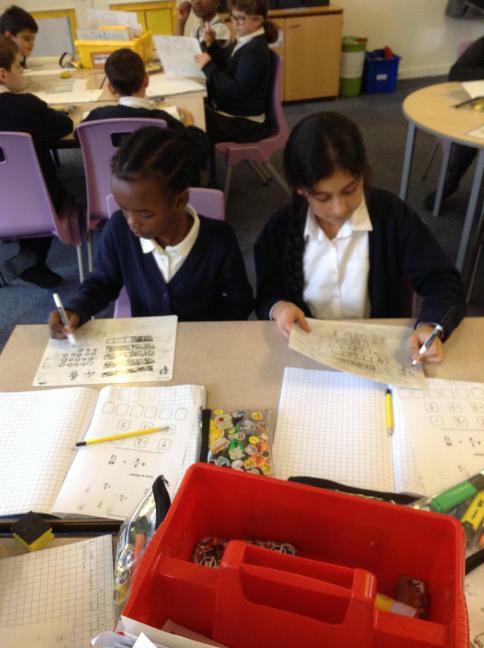 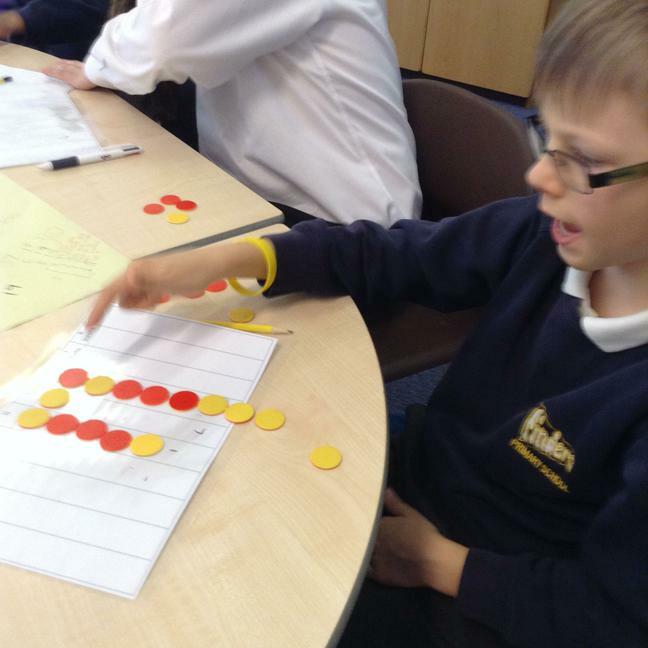 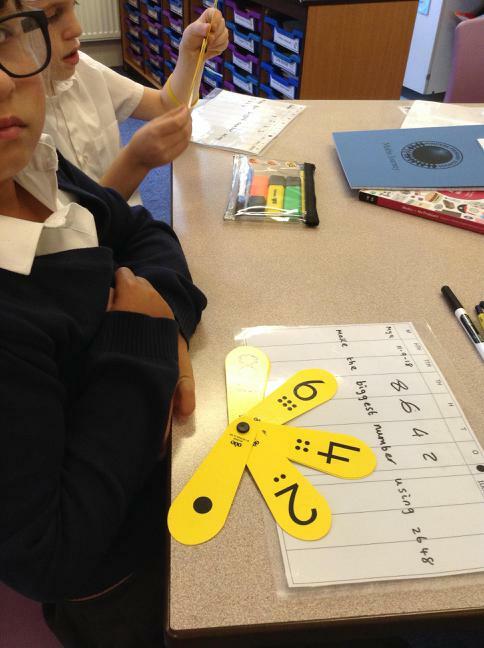 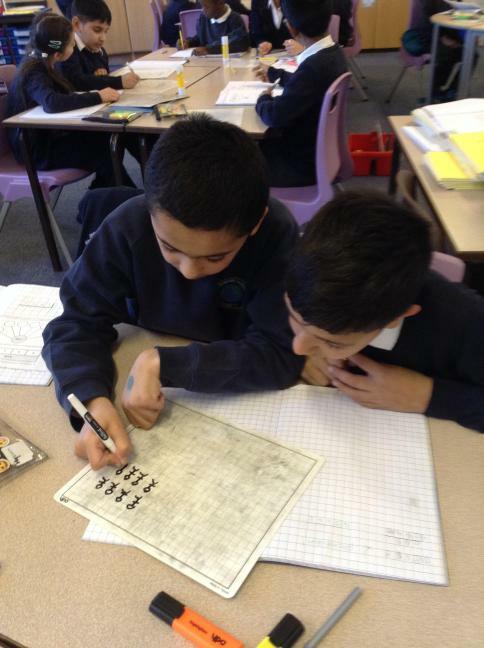 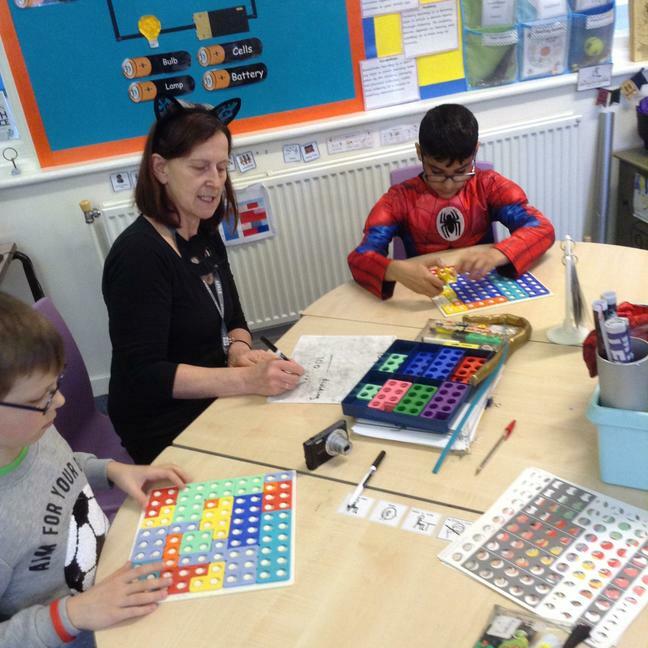 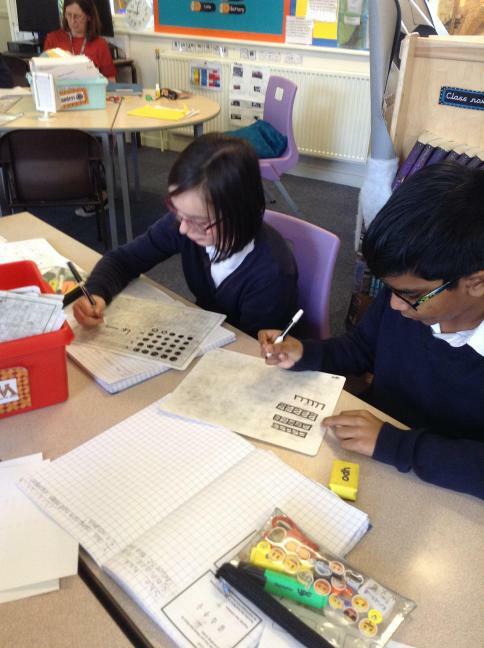 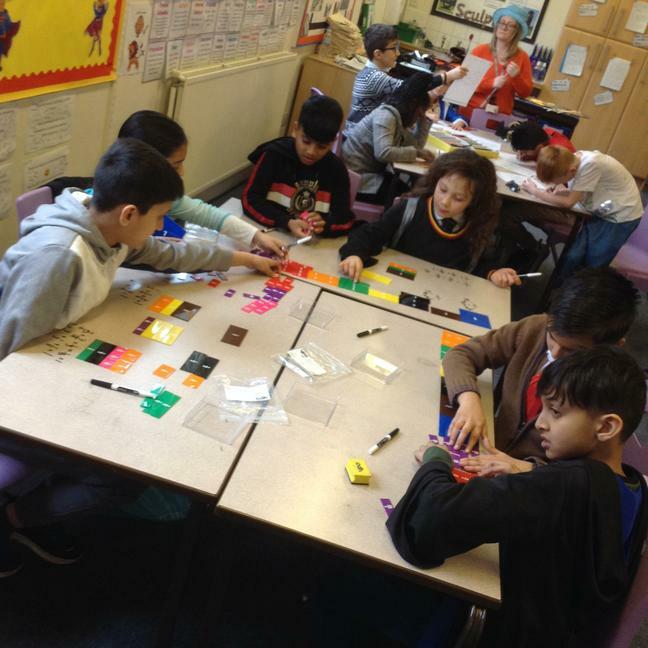 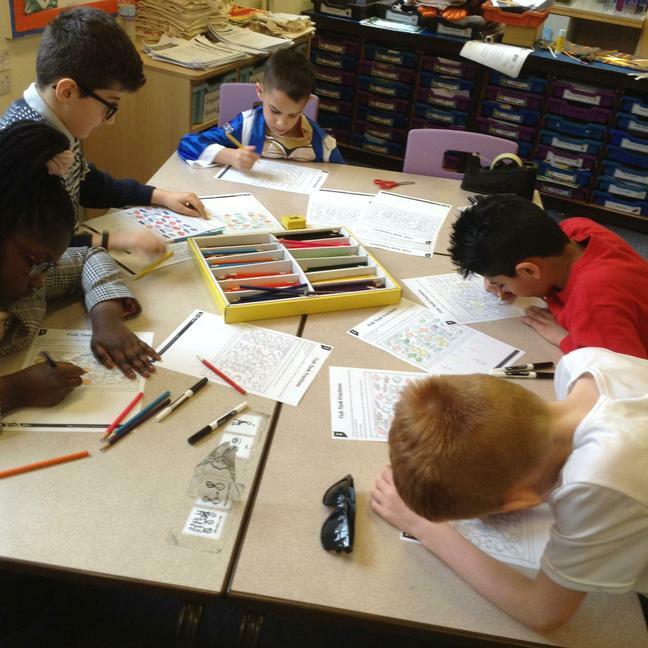 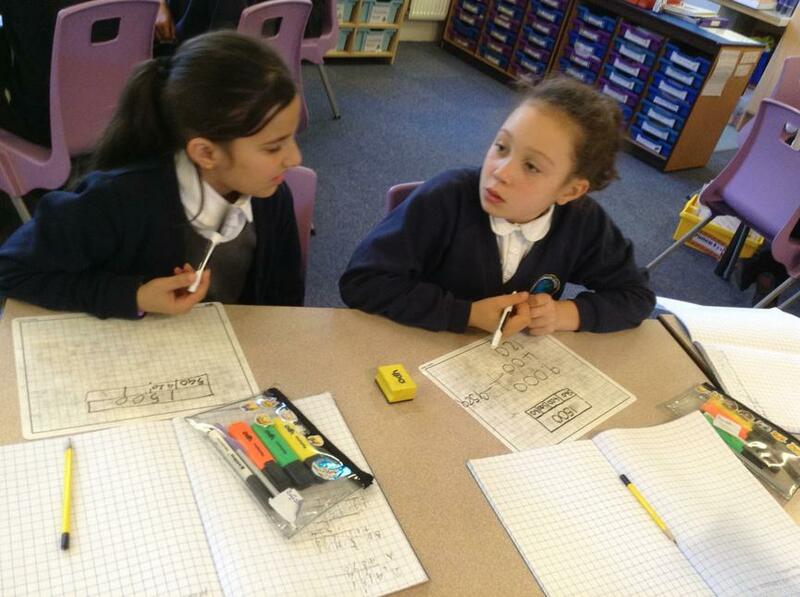 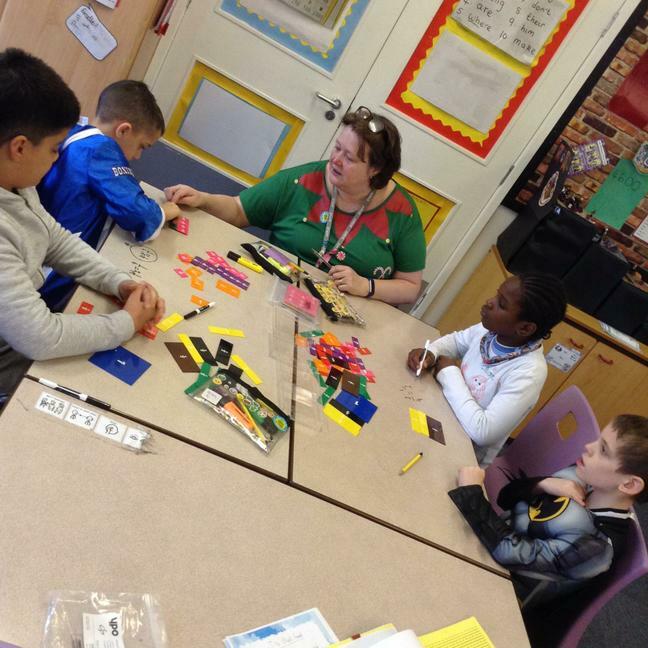 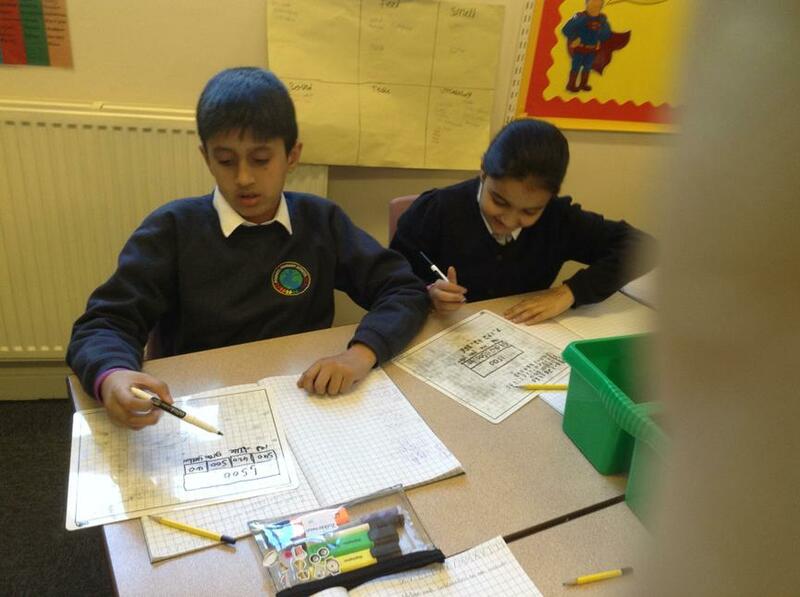 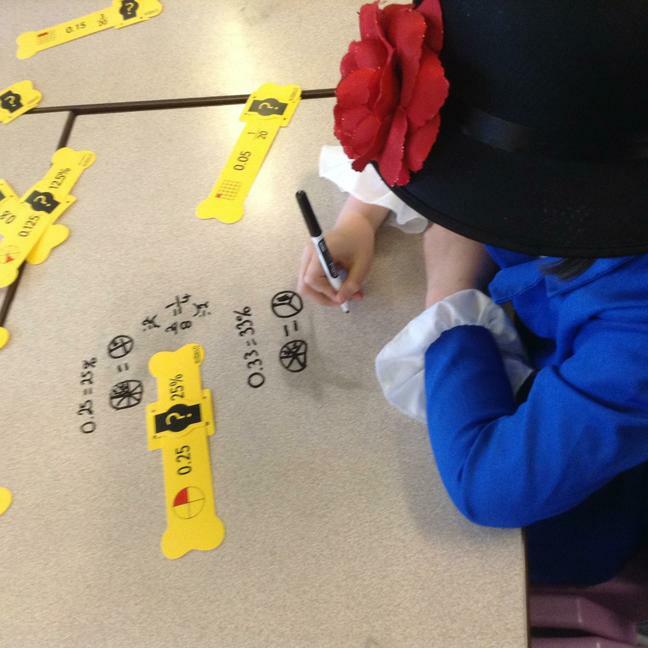 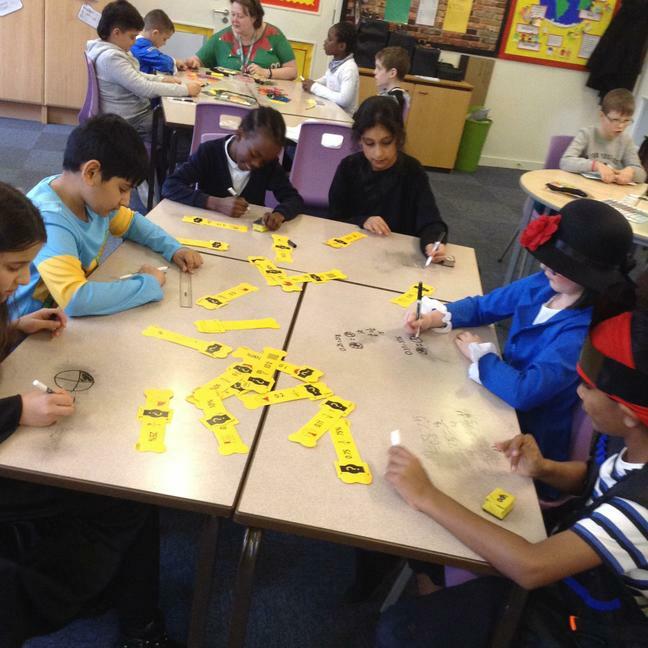 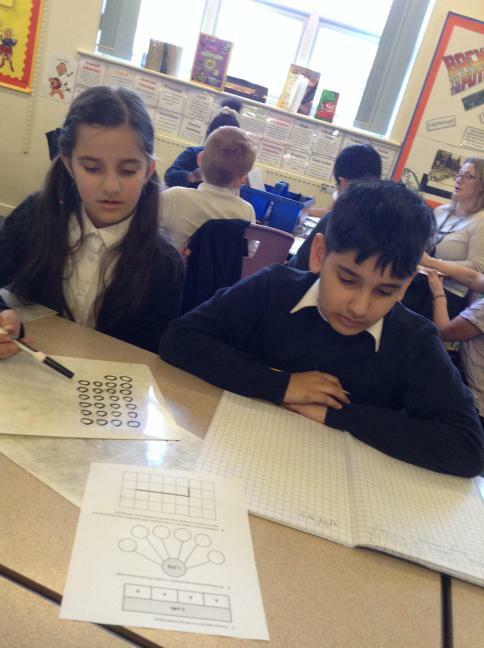 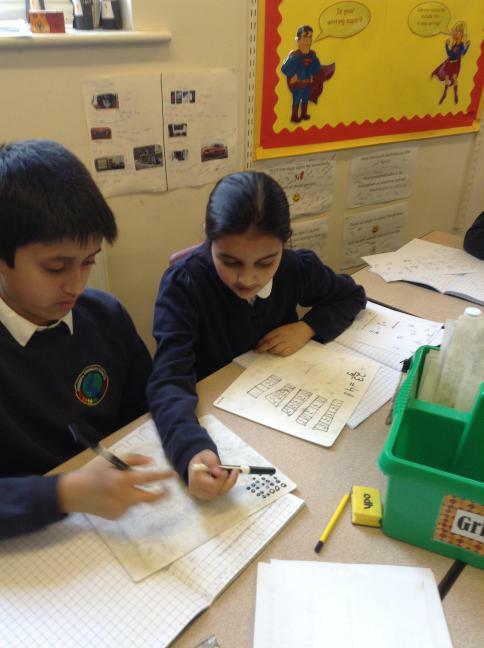 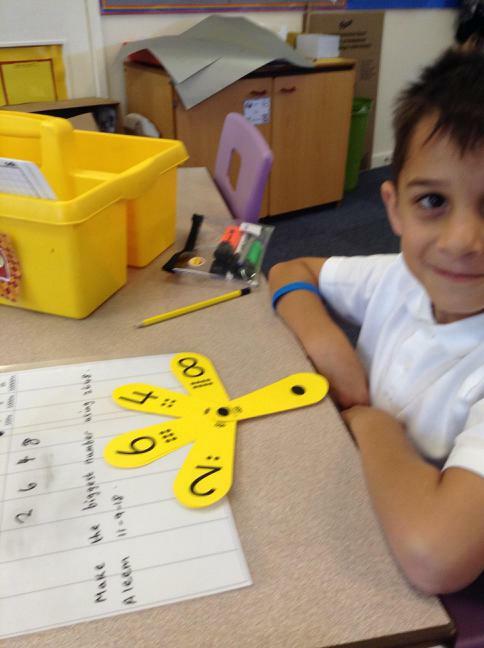 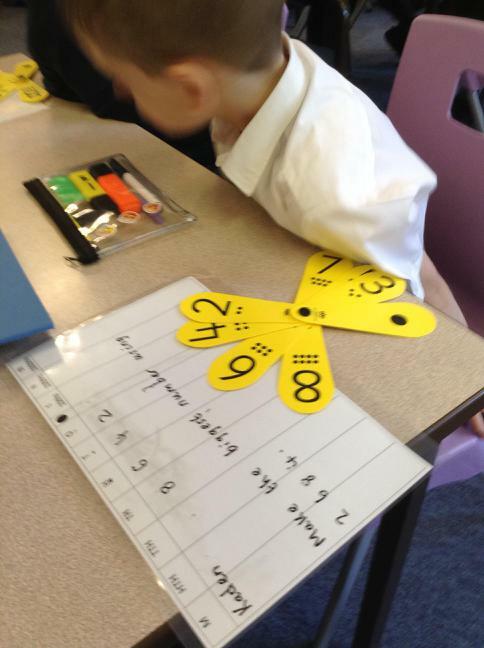 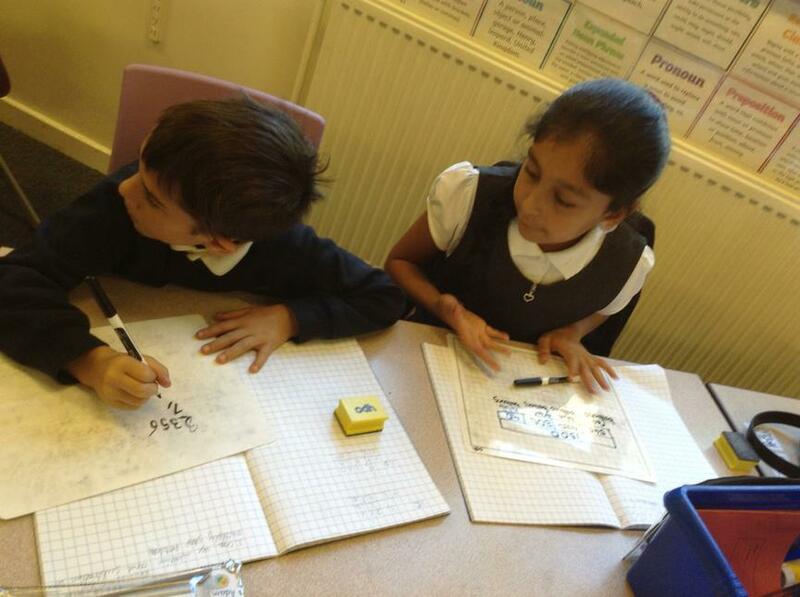 Using arrays to help with division.